As global production outpaces demand we are being awarded with a dramatic reduction in fuel oil prices right now. Although the heating oil industry is slightly behind the crude oil market, in the coming few days and weeks, we should see a further reduction in pricing. Click here to read the full story from Sky News. The US Trump administration has recently imposed new sanctions upon Iran and with that he demanded that petroleum cash flow to Iran from China be choked. The result is that the global oil producing leader, Saudi Arabia is being forced to fill this gap in supply, therefore forcing knock on effect of rising heating oil prices as they announced they may not be able to meet the demand. Click to read a full article about this in a new window. Goodbye sunshine, hello golden leaves, autumn breezes and a nip in the air! Fuel Tool wishes everyone a healthy and happy autumn season. Get your heating oil now ahead of Christmas and avoid the rush. The warm weather sweeping the UK at the moment is not only a welcome introduction to spring, but has also brought with it a reduction in our heating oil prices on Fuel Tool. Order now and save today. If you have ordered with Fuel Tool, your order will have been passed onto an oil supplier whose details will be found in your order confirmation email. Should you have a query regarding your order during this extremely busy time, we urge you to be patient as fuel suppliers are trying their best to answer phone calls. Always remember that you can email your oil supplier as well. Their email details can be found in your order confirmation email as well. As always, if your query is urgent and you cannot get ahold of your chosen oil supplier, please feel free to contact the Fuel Tool team and we'll try our best to assist you. As you may already be aware, as of the 13th of January it will be forbidden to include an extra charge to use a credit card for payment across the U.K. Starting on the 13th, all references to and calculation of additional card charges, will be completely removed from Fuel Tool. Previously, suppliers were allowed to add surcharges to an order if you were paying with a Credit Card, versus a debit card where debit cards incurred no additional fees. If you like what Fuel Tool stands for and want to help us get our name out, please feel free to use our logo images below to link back to our website. Many many thanks! 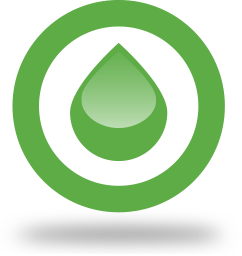 Have an interesting heating oil news link to share with Fuel Tool users? Click here to let us know what it is, and we'll publish it (and thank you graciously, of course). Thank you graciously, by the way !